The show was held August 22 – 25, 2012, and the quilts were stunning! 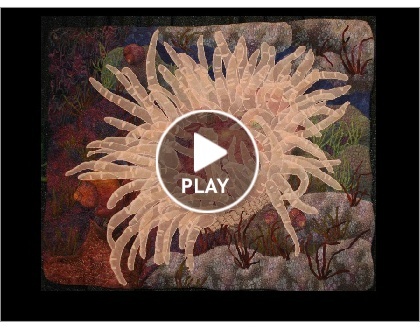 The annual SAQA Benefit Online Auction of twelve inch square art begins on Monday, September 10, 2012, at 2PM. SAQA is Studio Art Quilt Associates. The small quilts this year are quite innovative and delightful! 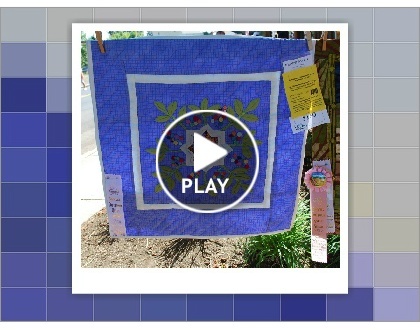 This is the place to get a piece by one of your most admired quilt artists. Last year’s Benefit Auction raised $52,925. The funds raised through the Auction are critical to supporting SAQA’s exhibitions, catalogs and outreach programs. One of the special exhibits at the recent 2012 Sisters Outdoor Quilt Show in Sisters, Oregon, was the 2nd Small Wonders Challenge. The quilts are small (the perimeter of each quilt could not exceed 100″ total) but very creative. Here, as a Smilebox presentation of The Quilt Show, are just a few of the quilts that were exhibited. Taiwan International Quilt Exhibition 2012 is at National Tainan Living Art Centre in Tainan City, Taiwan, through October 29, 2012 . The theme of this exhibit is Moving Water and River. Water and river are full of life and nutrient: novelty, freshness, and sustainability symbolize a source of vitality, expecting to convey an energetic, broad, and microcosmic angle of view, as well as each kind of life and existence that water and river embrace. 2012 marks the 25th anniversary of The AIDS Memorial Quilt and 30 years of life with AIDS. The San Jose Museum of Quilts and Textiles has AIDS Quilt Interactive on view as part of our 2nd International TECHstyle Art Biennial, that runs through October 14, 2012. The AIDS Quilt Interactive is a 42-inch interactive touchscreen tabletop that allows users to search through and examine detailed individual images from the 1.3 million square feet of the AIDS Memorial Quilt. The AIDS Quilt table utilizes a Microsoft PixelSense interactive display. Information about 2nd International TECHstyle Art Biennial, that runs through October 14, 2012 at the Museum, is also on that web page. Indigo Gives America the Blues will be on exhibit at The International Quilt Study Center & Museum in Lincoln, Nebraska, from September 7, 2012 through June 2, 2013. Indigo dye dramatically influenced the appearance of European and American textiles throughout the past 400 years. Its use reflects the history of trade with India and other Asian countries beginning in the sixteenth century, as well as advances in technology in Europe and North America. I had been hearing rumors about the International Quilt Festival moving from Cincinnati back to Chicago to the Donald E. Stephens Convention Center in Rosemont, Illinois. I thought that wouldn’t happen, since IQF extended their time at the Cincinnati location. Here’s a news announcement from IQF that the show in Chicago is coming back there as an additional IQF location. The Cincinnati show will still be in Cincinnati. Hooray! This is the best of all worlds! Another International Quilt Festival show! Dates are June 21 – 23 with the preview night on the 20th, 2013.
inside the Boyd Cultural Arts Center in Wilmington, Ohio. coverlet given as a wedding gift in 1833, a nine-patch variation pattern quilt in pink calico signed by its creator in 1877, a friendship quilt made by members of the Wilmington Yearly Meeting celebrating their centennial in 1991 — each of these pieces, and many more stunningly beautiful and varied textile works, come together to tell about the lives of the families who came to Southwest Ohio as early as 1800, and stayed to make Clinton and Warren counties a vital center of Quakerism in America. Photo is the Center’s of a previous exhibit. Here is a Smilebox slide show presented by The Quilt Show of quilts from these exhibits: A World of Beauty, West Coast Wonders, and Celebrate Spring from the International Quilt Festival Long Beach 2012 that was held a couple of weeks ago in Long Beach, California. There were more than fifteen exhibits at the show this year. The slides begin with photos of the area, and the quilt show begins with slide #12. The Quilt Show also included a Smilebox slide show of quilts from In the American Tradition exhibit and Hands all Around exhibit. 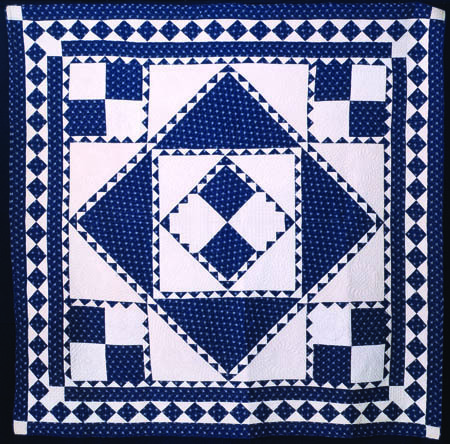 Quilts and more quilts are on view in Lowell, Massachusetts, some into November 2012. The New England Quilt Festival is in August, but exhibits at the American Textile Museum, New England Quilt Museum, Brush Gallery, and Whistler House Museum of Art can be seen much longer. To go at a time that the Festival is not on, be sure to check the days that the museums and galleries are open, so you can see all the quilts on exhibit in Lowell when you are there. THE LOWELL QUILT FESTIVAL is a citywide Celebration of Quilts featuring IMAGES, the New England Quilt Festival, August 9 – 11, 2012. Art Quilts Lowell 2012: Music will be at Brush Gallery & Artists Studios in Lowell from August 9 – September 15, 2012. Art Quilts Lowell 2012 is a juried exhibition, organized by the Brush Art Gallery, to identify and encourage quilt artists. 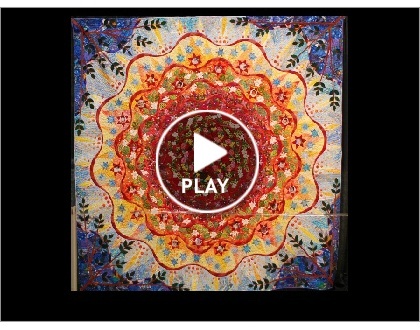 The theme of the exhibition is music, and it includes art quilts from artists throughout the United States and Canada. Brush Gallery & Artists Studios is at 256 Market St. Phone is 978-459-7819. The gallery is open Tuesdays – Saturdays from 11 -4. Whistler Inspired Art Quilts 2012 at the Whistler House Museum of Art are on exhibit through September 1, 2012. The Whistler House Museum of Art is exhibiting Art Quilts that interpret or are inspired by Whistler’s many works of art. Quilts selected for exhibition met one or more of the following criteria: 1.) based on a Whistler portrait, landscape or seascape (which could be an etching or print) 2.) in a monochromatic color palette. 3.) inspired by the terms: Arrangement, Harmony, Nocturne, and Symphony which were used in the titles of Whistler’s paintings. The Whistler is located at 243 Worthen Street; phone is 978-452-7641. They are open Wednesdays through Saturdays 11 – 4. See: http://www.whistlerhouse.org/index.php?option=com_content&view=article&id=51&Itemid=53 where you can view photos of art quilts from past exhibits. The New England Quilt Museum in Lowell has their latest exhibit: “Backstitch: a 25-year Retrospective of Advances and Milestones in Quiltmaking,” from now until October 14, 2012. 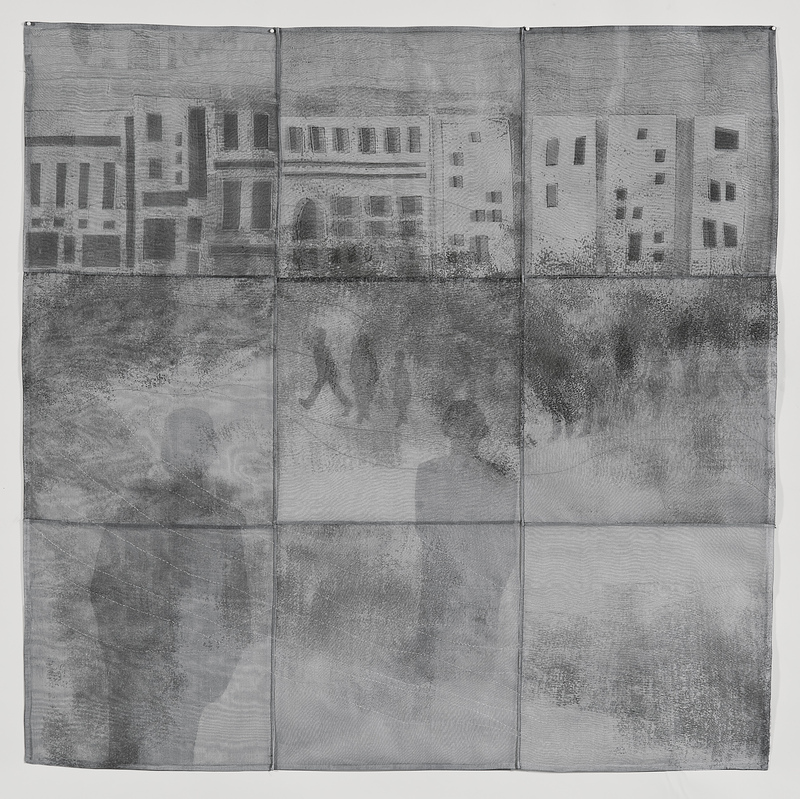 The exhibition includes works by Jinny Beyer, Hollis Chatelain, Micheal James and twenty-two others. Innovations include fabric dying for quilts, photo-transfer, machine quilting, rotary cutting, paper piecing and more. The Museum is open Tuesdays through Saturdays 10 – 4. I understand that you can still see the exhibit if you don’t get to Lowell, as it will travel to the New York Historical Society in New York from April 14- August 31, 2014, Shelburne Museum in Shelburne, Vermont, from September 20, 2014 to January 1, 2015, and to Nebraska State Historical Society in Lincoln from February 1- June 1, 2015. The Museum is open Wednesdays through Sunday 10 – 5. It’s located across the street from the New England Quilt Museum, at 172 Middle Street. It’s open August 10th from noon to 8pm, the 11th and 12th noon-4pm and thereafter Saturday and Sunday noon-4pm until the 26th .